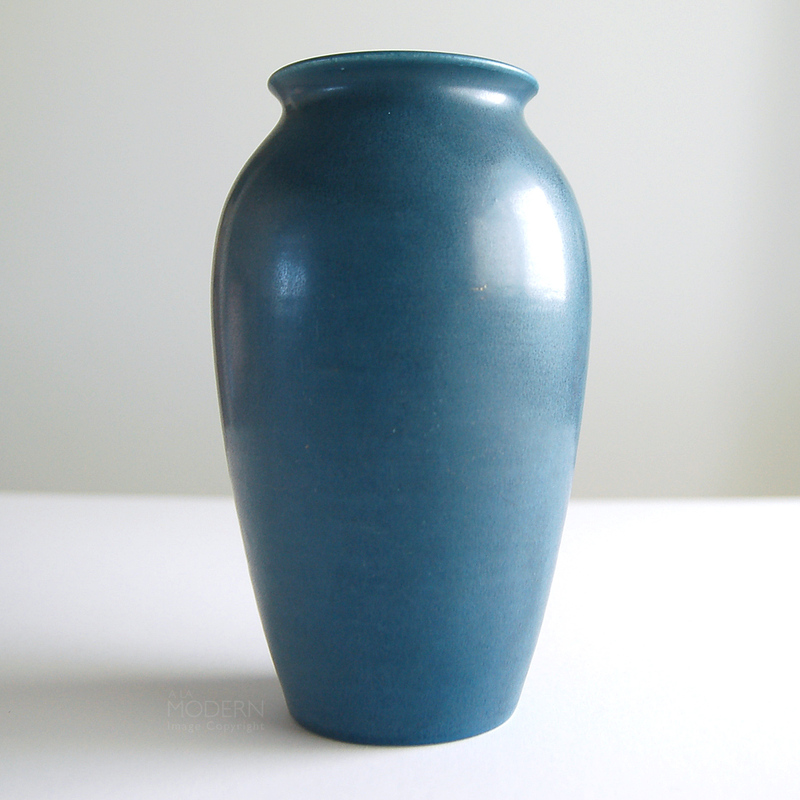 A fantastic, arts and crafts Rookwood Pottery vase produced in 1924. 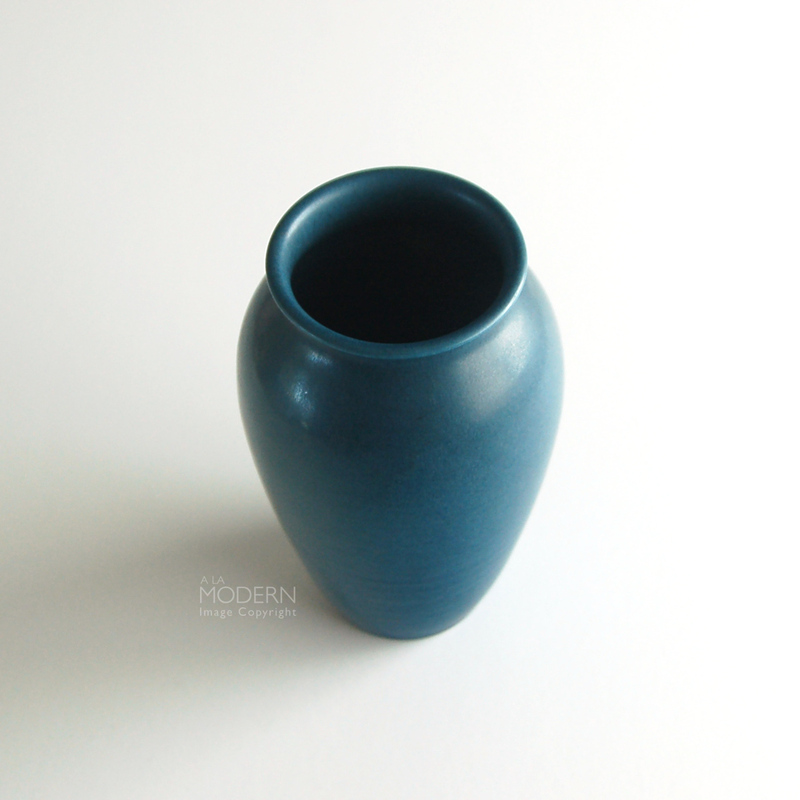 Simple, flowing vase shape with satin matte steel blue glaze color - pictures make it look a little more greenish than it is. 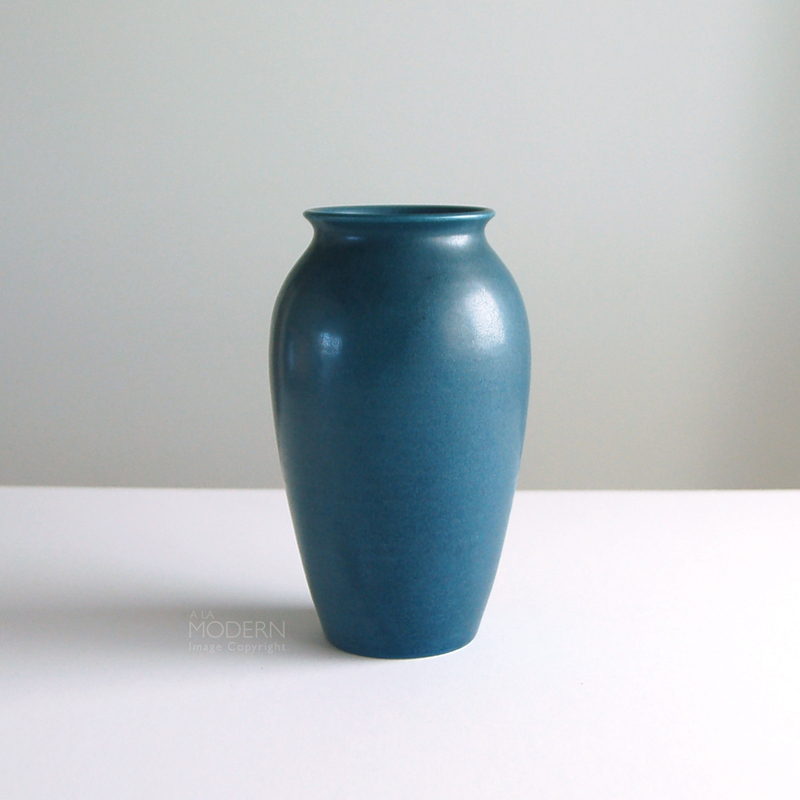 Would look wonderful with other art pottery pieces from the era, but because it is undecorated it also has a modern look that would fit in well with more contemporary decor. 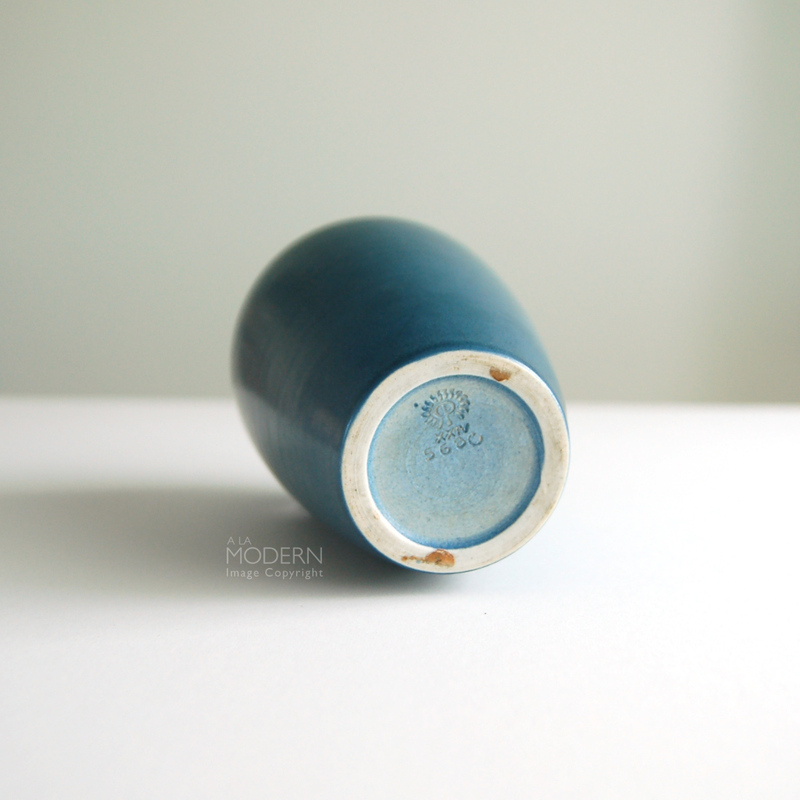 Marked on bottom with Rookwood stamp, which gives a shape number of "568C". In good condition with no cracks or chips. A few metal marks on the side - see the photo for example. Some pad remains on the footer. A few stray white dots here and there, likely paint. 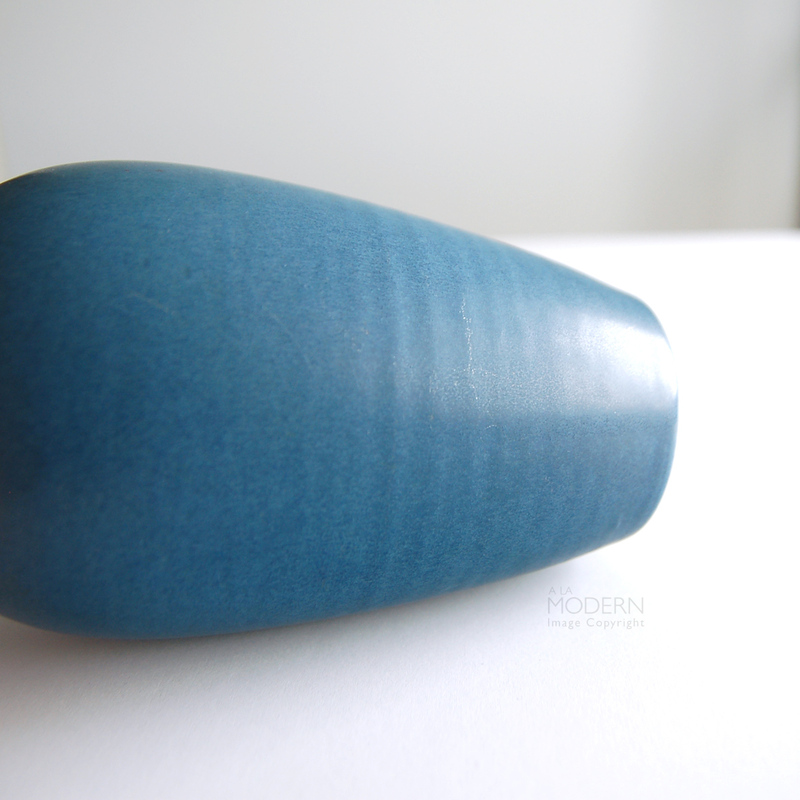 Measures about 7 inches tall, 3 inches wide at top, 4 1/4 inches at widest.